Radishes, Raphanus sativus L. are a very fast growing cool season crop belonging to the Brassicaceae family. Originating from Asia, their flavors can range from mild to hot. The most familiar radish to Americans may be a round red radish with white flesh and a mild flavor. I don’t like them. When I was growing up, my mother would ruin a perfectly fine potato salad by smothering the top with layers of sliced radishes. I learned how to pick them off and out of things fast. I will grow them, but I really don’t like harvesting them either. Their leaves are covered with fine hairs that feel a lot like thorns poking my flesh. They are there for a reason, and just because I don’t like them doesn’t mean I won’t grow these in my garden. I just won’t eat them. 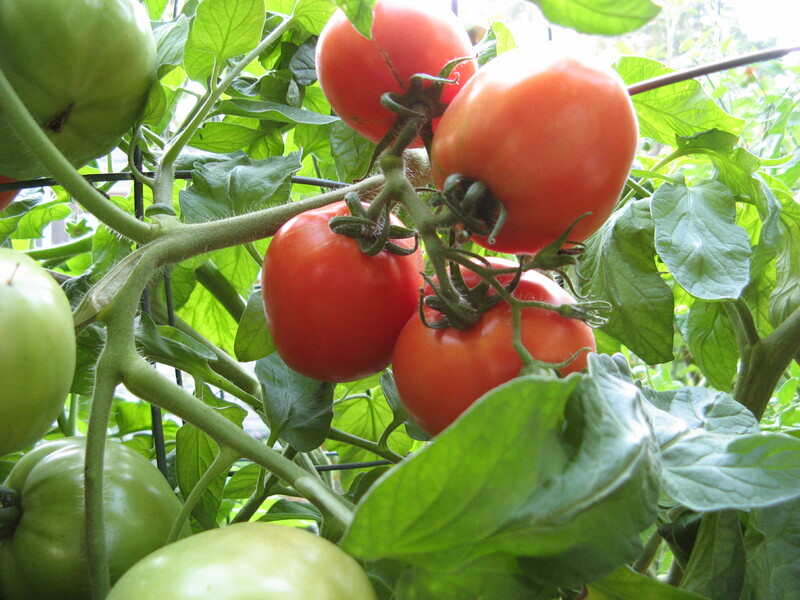 They are a great veggie to grow and share. There are mainly two types of radishes. Like I mentioned above, the round fast growing radish that is best grown in the spring, and the Daikon radish which should be grown in the fall and is best for winter storage. There are many colors and shapes but all germinate best when soil temperatures are between 45-90 degrees Fahrenheit, with the optimum temperature being 60-65. 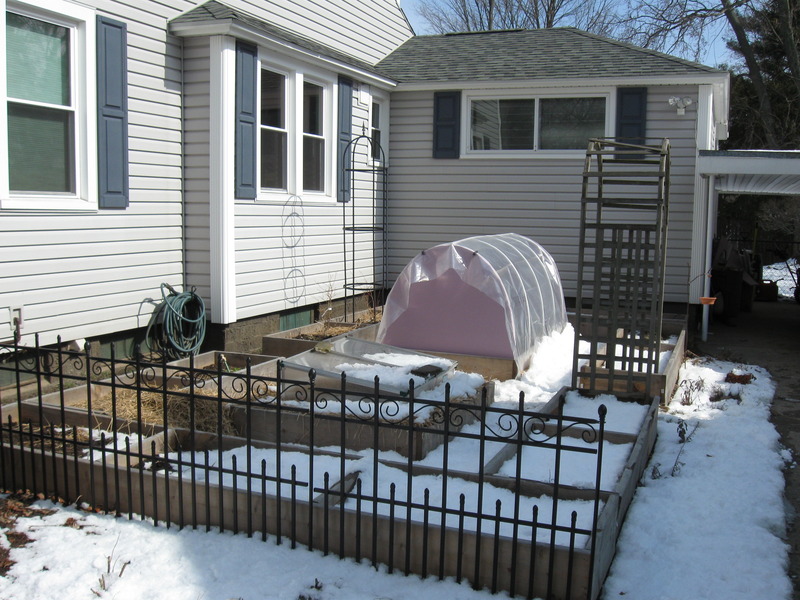 The soil temperature in my garden right now is 55, so I will be sowing radishes without cover (cold frame) this weekend. Ideally, you want to direct sow about 1/4 to 1/2 inch below the surface in rows spaced about 8” to 18” apart. Sow the seeds in a line. After they have germinated, you will notice that they are too close together, so you need to “thin” them. You will know how much just by picturing the size of the radish when you will be harvesting it. That is how much space it will need to grow, with a little extra in between. If you continue to plant every 2-3 weeks, you will have a continuous harvest for most of the year. Radishes don’t grow very well during hot summers, but if you interplant them between other plants that may shade them to keep them cool, you might surprise yourself with how long you can grow them. For winter radishes, start them at the beginning of September and you will be harvesting through late fall. Daikon radishes are good to grow through the winter in a cold frame and also grow well in raised beds. Traditionally, radishes are the first crop harvested and the last crop sown. Harvest when they are about the size of a large marble except for Daikon radishes which are so large you need to loosen the soil with a garden fork. If you wait too long, they get too large and mealy. You may wonder how I know this without eating them. Well, I do have radish testers living in my house. So I get my information from them. And if you slice them, they should be nice and crisp. Remove the leaves and wash. Some people like to eat those hairy greens. Do as you choose. Store washed radishes without drying too much in a plastic bag or container in the refrigerator to keep the humidity high and temperatures cool. Radishes are susceptible to flea beetles and cabbage root maggots. You can avoid this by rotating crops, not planting anything from this plant family in the same place for three years. Using a floating row cover can also help by deterring cabbage moths from laying their eggs on the plants. Interesting is that the U.S. standards for radish grades hasn’t changed since 1968. It reads “Tenderness, cleanness, smoothness, shape, size, and freedom from pithiness and other defects; tops of bunched radishes fresh and free from damage.” So, if you are growing radishes for someone, these are the standards you should be following. Want something weird. Grow the radish from Baker Creek Heirloom Seeds called “Rats Tail”. It is an edible-podded radish that produces large seed pods that are good for stir fry and pickling. Maybe I would like this radish? If you grow it, let me know how you like it. For now, I’ll stick with fewer plants from this family in my garden, and learn from all of you brassica lovers. Rats Tail Radish. Photo courtesy Baker Creek Heirloom Seeds. I thought you would like to hear my dirty talk. You know what I mean. This was the perfect weekend for gettin dirty in the garden. Using a shovel, I prepped My Urban Farmscape easily by lifting and turning the soil. For a slightly larger garden, I use a broadfork. I got mine at Johnny’s Selected Seeds. Once you get the hang of it, you can get a pretty large space aerated and turned ready to plant in no time. A small tiller, like this Mantis 7225-00-02 2-Cycle Gas-Powered Tiller/Cultivator (CARB Compliant) works really well too. But then you have to make sure you have gas, and at about four bucks per gallon I’ll use my shovel. I still use my Mantis initially when starting a garden, but then proceed to follow no til methods. Iwill also use it for minor weed control or edging. Double digging is another method where you start on one side of your garden, dig a trench, then start another trench next to the first one, filling the first trench with the soil from the second trench, then soil from third trench fills the second and so on. The soil you dug from the first trench fills the last trench. Got it? Using a broadfork to loosen and prepare soil in a VERY small garden. I believe that the soil is the most important part of my garden. It serves as the place where nutrients and microorganisms hang out waiting to be used up by the plant. So, as far as fertilizing goes, I start first with feeding the soil, which then feeds the plant. I add most of my soil amendments in the autumn, such as greensand, rock phosphate, or bone meal. These are slow release type fertilizers approved for organic growing which provide the primary nutrients plants need to grow, nitrogen, phosphorus, and potassium. You will recognize the numbers on fertilizer like 10-10-10, which means the amount of Nitrogen-N, Phosphorus-P, and Potassium-P in that order. NPK. This year I am adding Azomite Azomite Fertilizer – 12oz to my garden which is an organic approved fertilizer providing some of the trace minerals needed for healthy plant growth. And always use compost. I will also make a compost tea using worm castings. This has been my garden secret after brewing this up at my organic farm ten years ago. I’ll talk more about this in a future post. 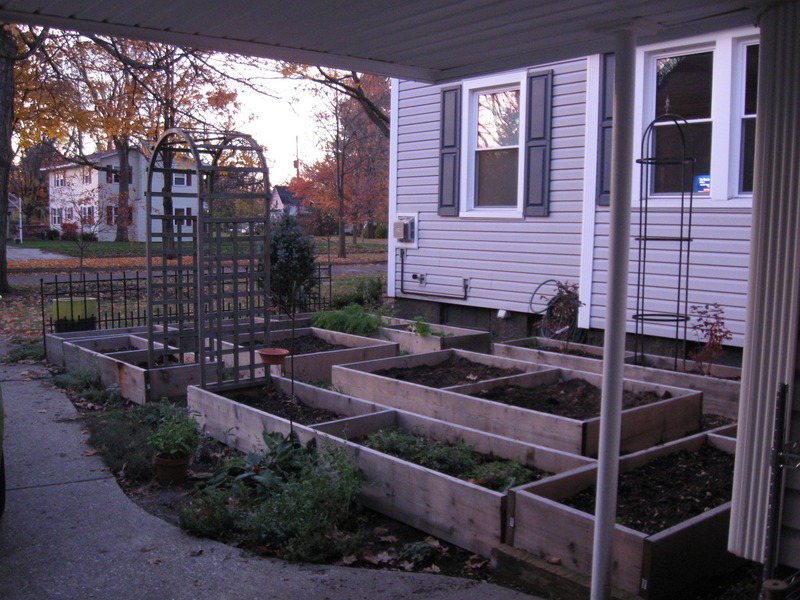 Confused about what you can use for organic gardening? Visit the website for the Organic Material Review Institute, https://www.omri.org/ for details. This is the organization that has worked to develop the list of what can and cannot be used for organic production of both plants and animals. Beware. A label on a package that says “OMRI Approved” does not mean all the ingredients are approved. If it is a single ingredient product, such as sphagnum peat for example, it is OMRI approved, so odds are, the company that packaged the sphagnum peat did not pay for the USDA Organic labeling for some reason. Look for the “USDA Organic” label and you will know for sure. Also pay attention to marketing claims, like “safe around pets and children” or the words “natural”. This may be somewhat complicated, but the more you read and learn, the more familiar you will become, thus, being able to make more informed decisions when it comes to purchasing organic products. Before I add anything to my soil, I will send a sample to the Michigan State University Extension to be analyzed and to learn about the existing soil type and nutrient levels that are already in the soil. After receiving the results, I amend the soil with whatever it may be lacking. It makes no sense to add something if there is already enough or excess in the soil. So, with all that said, here are ten things you need to do to your soil prior to planting anything. Shake off all excess dirt. You need all you can get. Don’t buy dirt if you don’t have too! Loosen and aerate the remaining dirt using a shovel, broadfork or tiller. Using your hands, break up clumps of dirt, and pick out any remaining leaves. I love to feel the dirt crumbling between my fingers. This is fun for kids too. Collect soil as directed by your local extension to be tested for fertility. If there is an option for organic recommendations, then by all means, get those! It takes some work translating and changing chemical recommendations to organic. But it’s possible. You can use solarization to help weeds “grow to death”. Black plastic works best, but any plastic will be fine. 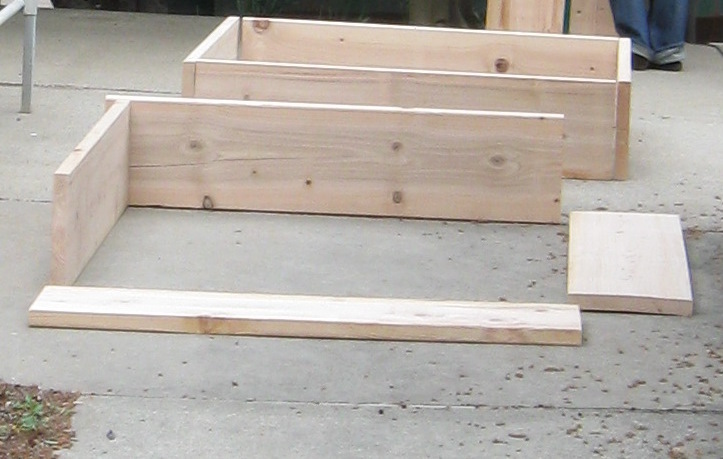 I used the painter’s plastic that I took off of a low tunnel cold frame. Lay it over the soil for a minimum of a week, two is better, remove, pull baked weeds, and then prep as mentioned above. You can add compost AFTER you take your soil sample. I have never received the results from any soil test from any of my gardens that didn’t tell you to add compost. So go ahead and do that. Continue to pull weeds that may appear. Once you receive results from soil sample, amend as directed. Plant your garden after danger of frost has passed. See previous posts on what to plant when. It takes three years of organic practices and the improvement of the soil fertility before an organic farm can be certified USDA Organic. It is a honorable commitment by those that follow the organic rules and only use OMRI listed and approved materials. 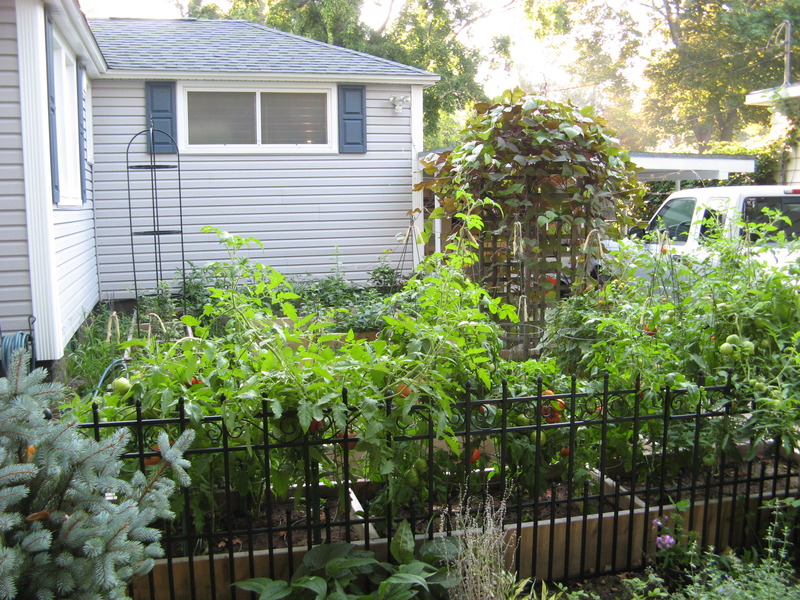 Support your organic farmers, and as far as your Urban Farmscape, get busy working to make your soil sustainable!